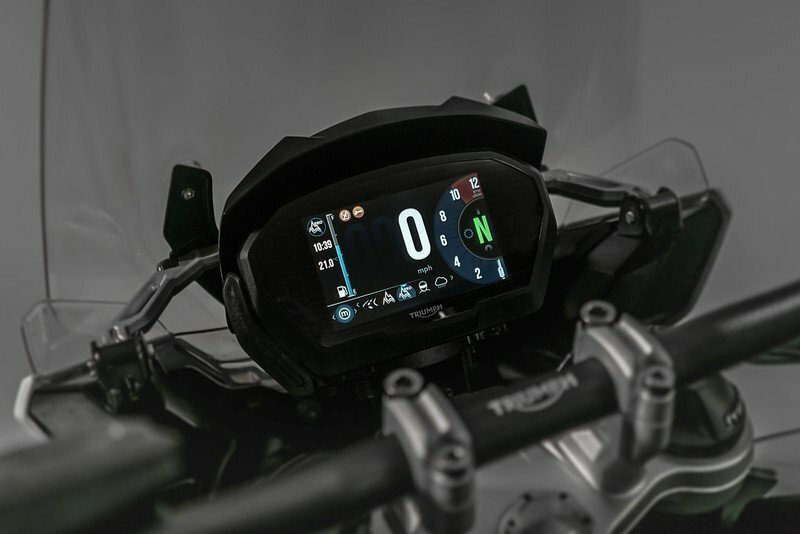 It borrows the TFT screen seen on the new Street Triple and can be controlled using the new backlit switchgear. 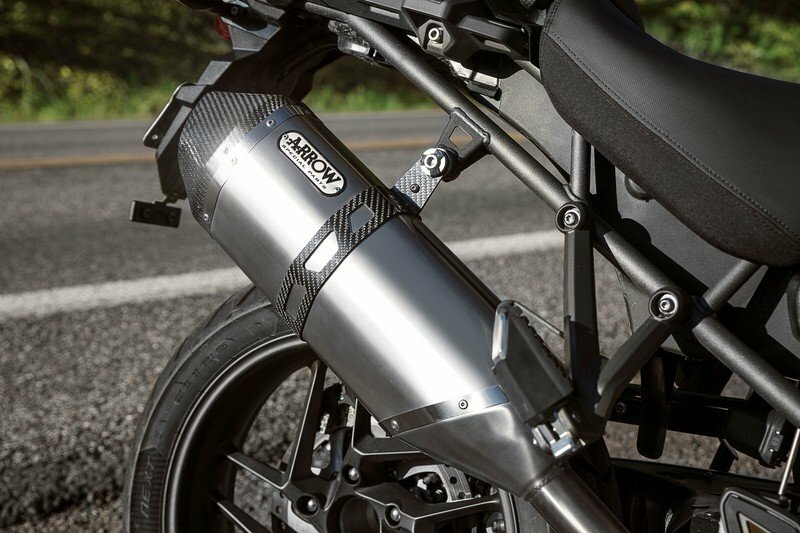 Lightweight Arrow titanium and carbon fiber silencer gives it a better soundtrack. 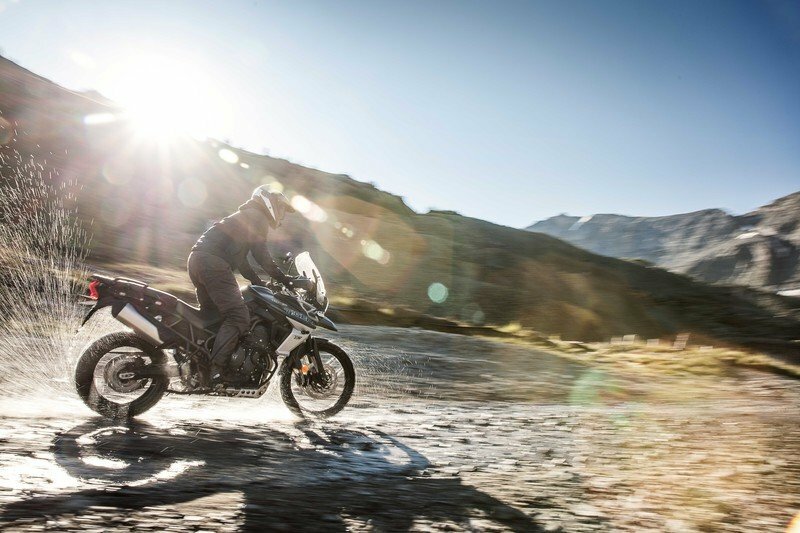 The 1200 has up to 100 improvements over the previous generation model to save 23 lbs Provides better off-road agility and handling. 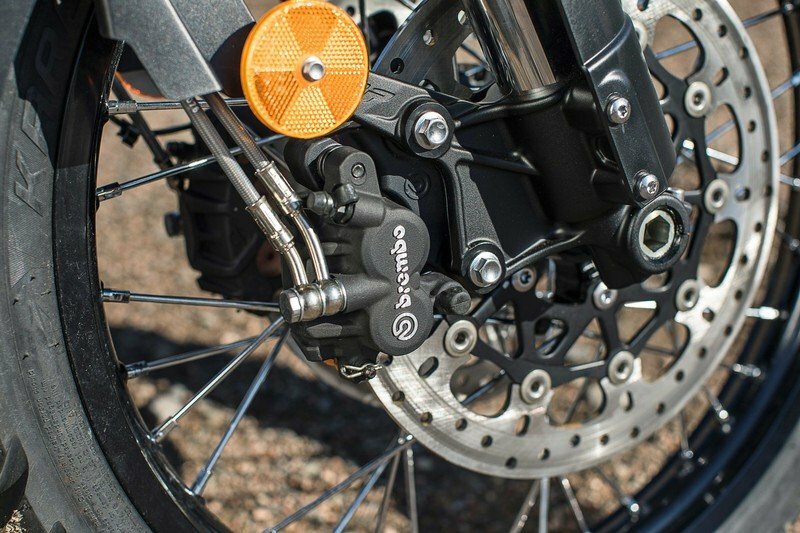 For 2018, Triumph has added enough electronic suite to tackle any variables Inertial Measurement Unit (IMU), \n Optimised cornering ABS \n Traction control \n Hill hold\n Ride-by-wire throttle \n Cruise control \n Six riding modes with “Off-Road Pro"
High spec Brembo brakes and Showa suspensions do their job perfectly. For some people, adventure is about finding your way through the unknown to see things no one has and doing things most haven’t. But unless you plan on walking, you need the right tool to get there. 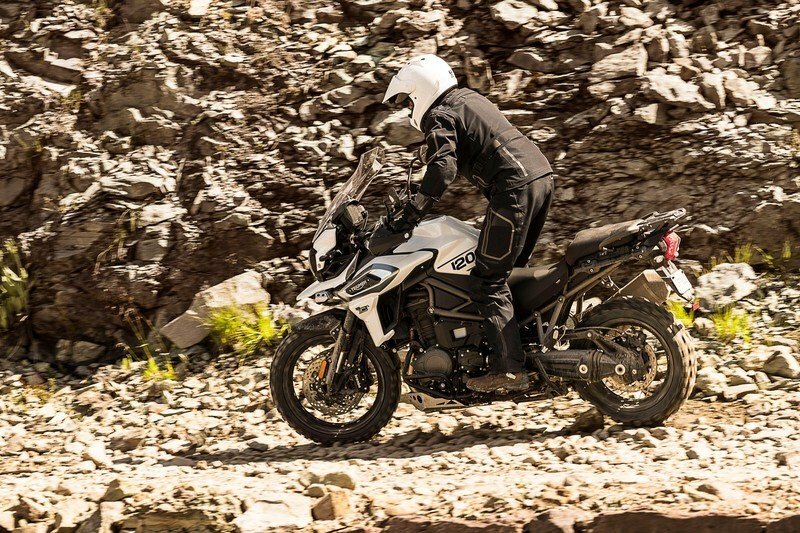 This is where Triumph’s Tiger series comes in and sweeps you off your feet in the most humble and matured way. 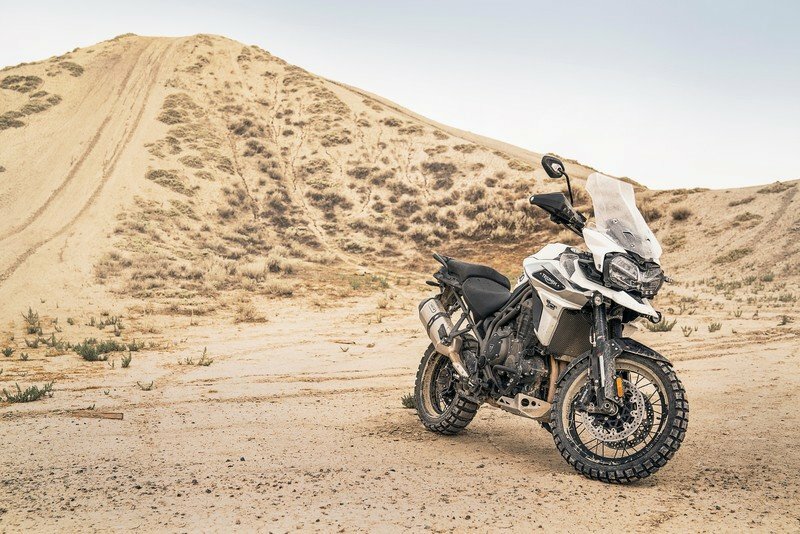 As regularly updating their line-ups go, Triumph is giving their 2018 Tiger range a host of bells and whistles that will boast of having it ’Transformed,’ with a ’New Tiger Triple Engine’ and ’New Tiger Technology.’ Apart from this, the bodywork also gets mild updates to look fresh for 2018. After their Bonneville range, it’s the Tiger models that give the British brand their numbers. So much that Triumph feels no inhibitions with having six different models each for 1215 cc and 800 cc engine mods for 2018. 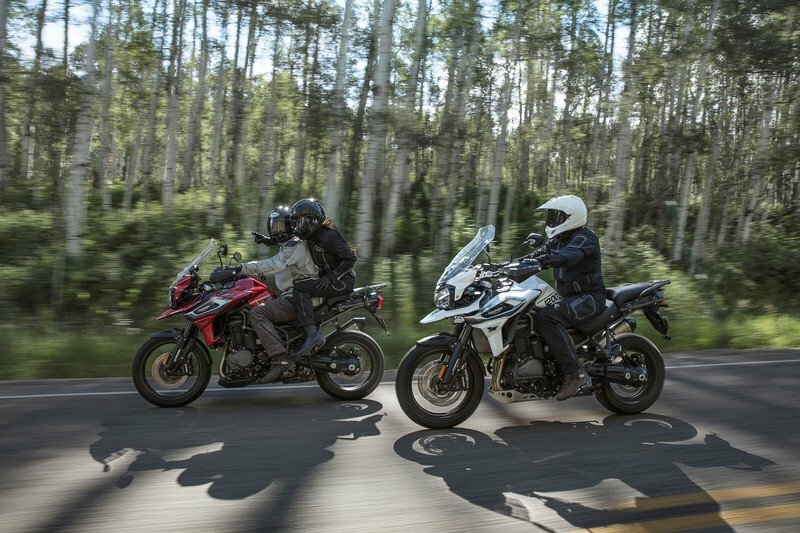 Both the 1200 and 800 have four road variants (XR, XRx, XRx low, and range-topping XRT), and two off-road ones (XCx and a top-spec XCA). The first thing you notice is that name. Previously all the Tigers running on the 1215cc motor had the ‘Explorer’ badging on them. But for 2018, Triumph has made things easier by just sticking to the 1200 branding. Thanks to the new bodywork, wheels, side panels, details, fit and finish and that all-LED surround lights, the 1200 looks fresh and uptight. It borrows the TFT screen seen on the new Street Triple that can be controlled using the new backlit switchgear. 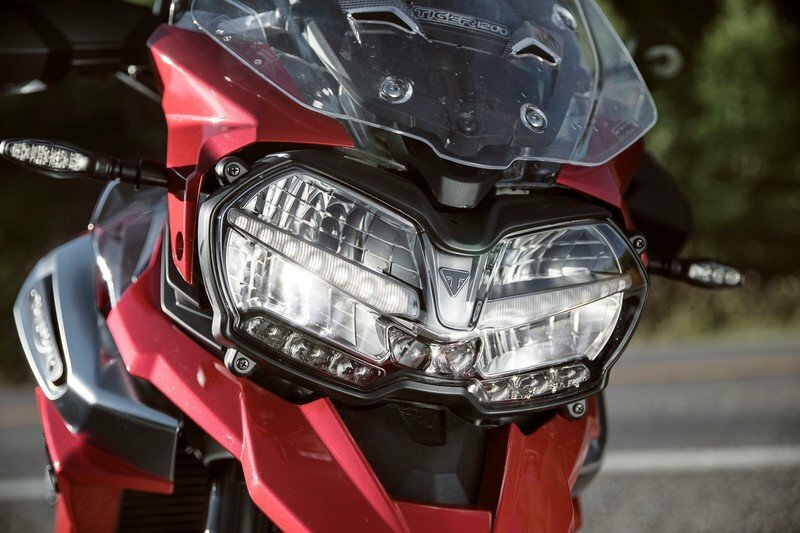 The LED headlights get all-new innovative Triumph Adaptive Cornering Lighting for enhanced visibility when cornering. 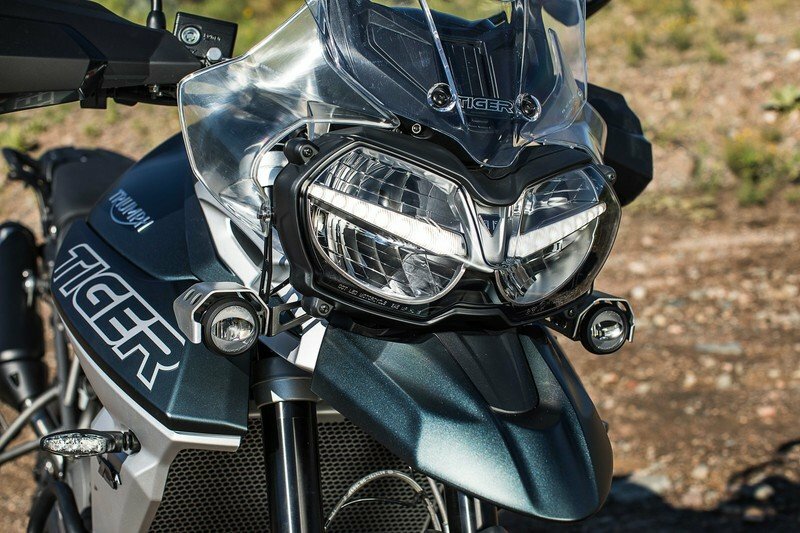 The heated grips and seats, and electrically-adjustable windscreen give in for rider comfort under cold conditions. Add keyless ignition to that. The 1215 in-line triple boasts of having the most potent shaft-driven engine in its class that belts out 140 bhp and 91 lb-ft of torque. For 2018, the engine receives significant updates to allow it to expel immediate power delivery lower down the rev range. It also gets new Triumph Shift Assist for smooth clutchless gear changes and a lightweight Arrow titanium and carbon fiber silencer gives it a better soundtrack. Provides better off-road agility and handling. and can be controlled using the new backlit switchgear. 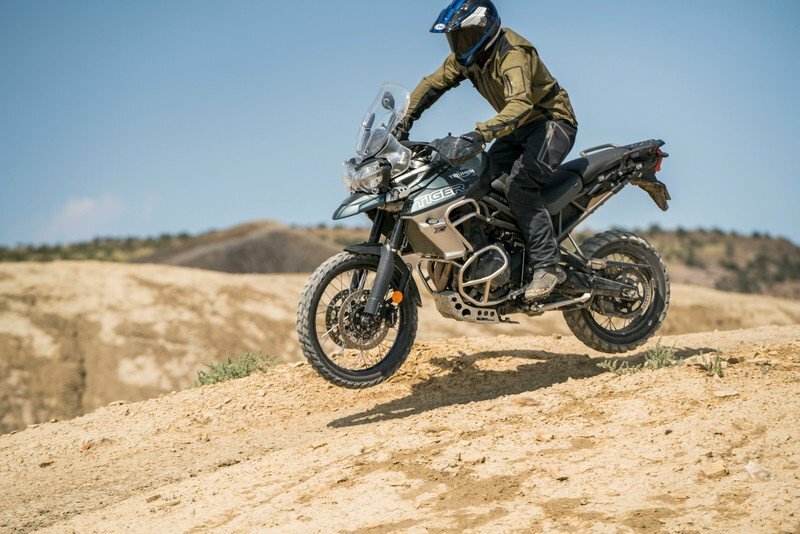 The 1200 has up to 100 improvements over the previous generation model to save 23 lbs off of the engine, chassis and exhaust components giving it better off-road agility and handling. Adding to rider confidence is the new seat compounds, revised handlebar positioning and updated frame geometry for an enhanced rider ergonomics and comfort. 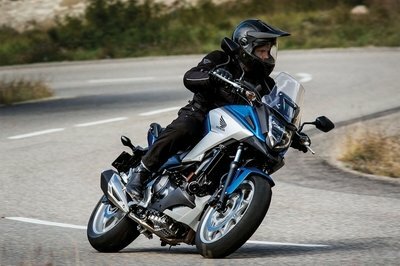 Rider aids on the 2018 models include an Inertial Measurement Unit (IMU), integrated braking system (developed with Continental), optimised cornering ABS & traction control, hill hold, ride-by-wire throttle, cruise control. 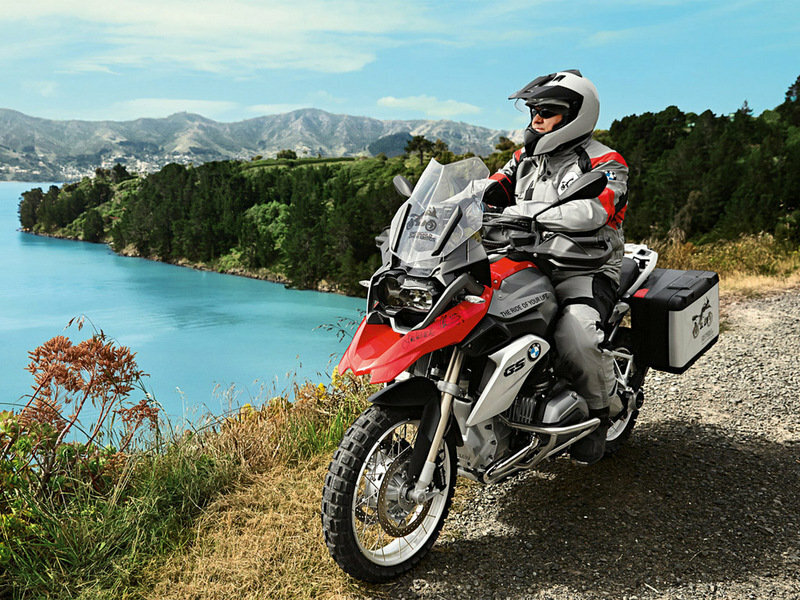 There are up to six riding modes including the new “Off-Road Pro” mode, which allows the rider to disengage the electronic rider aids. Other mechanicals includes top-of-the-line units like the Triumph Semi-Active Suspension incorporating WP adjustable front and rear suspension and Brembo Monobloc 4-piston radial calipers. Unlike the 1200, the 800 saw a lot many buyers for its practical approach and usability as an adventure motorcycle. 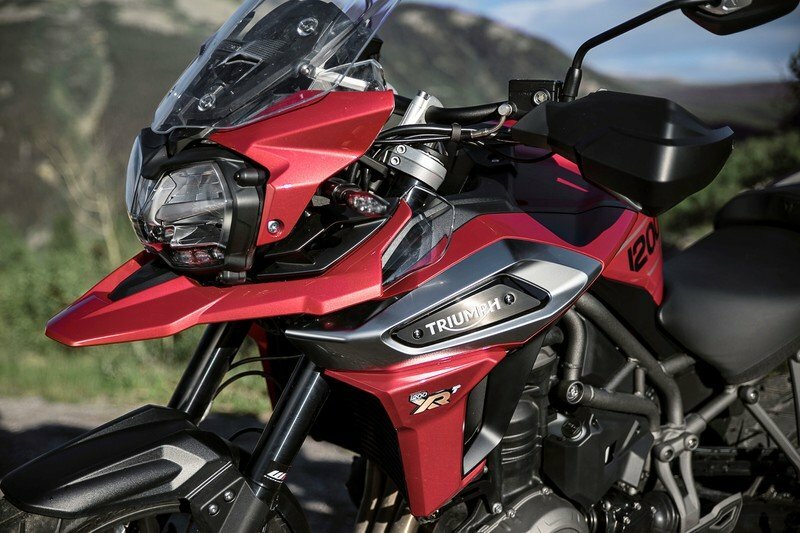 Seeing its success, Triumph has loaded it with even more changes and updates than the 1200 to make sure they reign the middleweight segment. 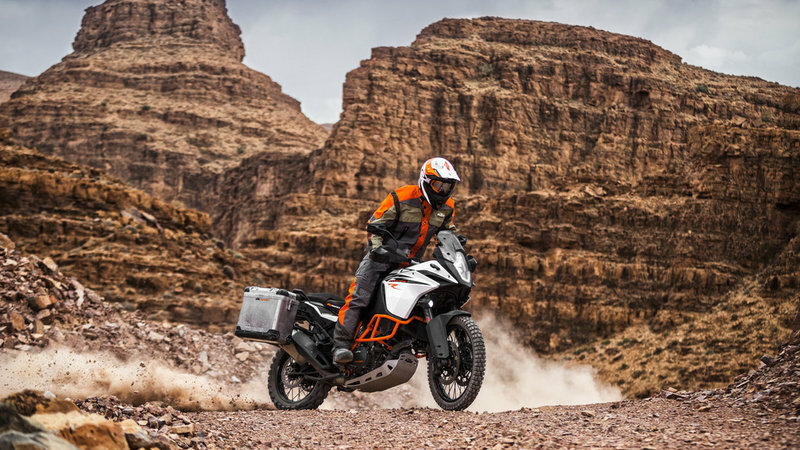 If the 1200 got 100 improvements, the 800 gets 200 improvements over the engine and chassis components making it more capable off-road and more comfortable. 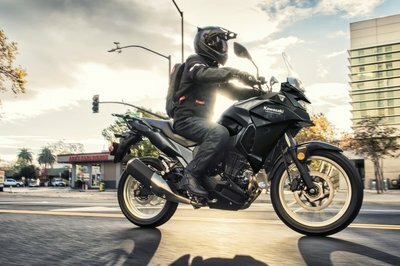 It shares the new full-color TFT instrumentation, heated seats and grips, all-LED lighting and backlit switchgear seen on the 1200. Keeping the 800 looking smart is the new bodywork and decals with updated side panel designs that keep the off-road stance pronounced even better. It gets new five-position adjustable windscreen and aero diffusers for segment-leading aero protection. The 800cc in-line triple is now mass-optimised to give out 95 ponies and 58 lb-ft of torque with a fine-tuned throttle response for immediate power delivery. 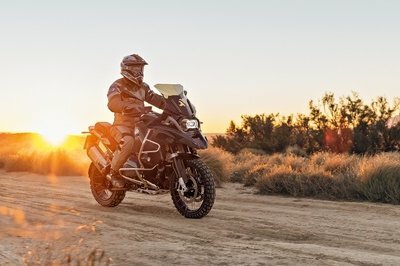 The powertrain sees significant improvements in the form of shorter ratio 1st gear for enhanced off-road traction and responsiveness and gets a lighter, free-flowing silencer to create a raw soundtrack. Giving the 800 a commanding riding position is the new handlebar position and new saddle compounds that cater to all-day comfort on and off-road. High spec Brembo brakes and Showa suspensions do their job perfectly. 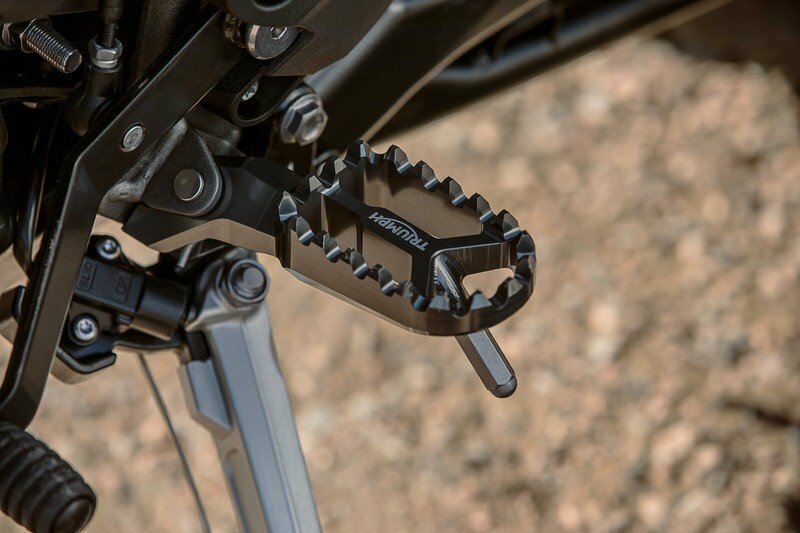 Electronic rider aids are not as extensive as that of the 1200 but still gets, ABS, traction control, ride-by-wire throttle, cruise control and up to six riding modes including the new “Off-Road Pro” mode (XC models only), which allows the rider to disengage the electronic rider aids. With all these updates coming through to 2018, the Tigers sure have enough mettle to wade off competition. 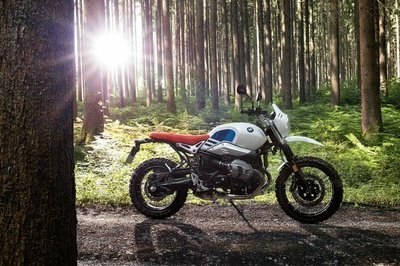 Yet, the path is not all that clear especially with the GS series from BMW getting a full update as well for 2018 and KTM’s adventure motorcycles making all that noise in the industry. A gain in performance numbers would have sealed the deal. 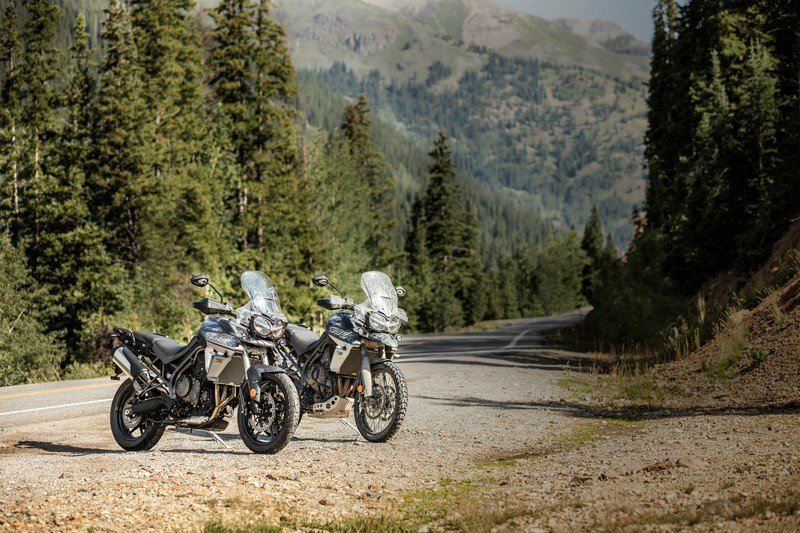 Nonetheless, Triumph has given it the right balance of technology and approachability for riders to reach new levels of satisfaction with the 2018 Tigers. 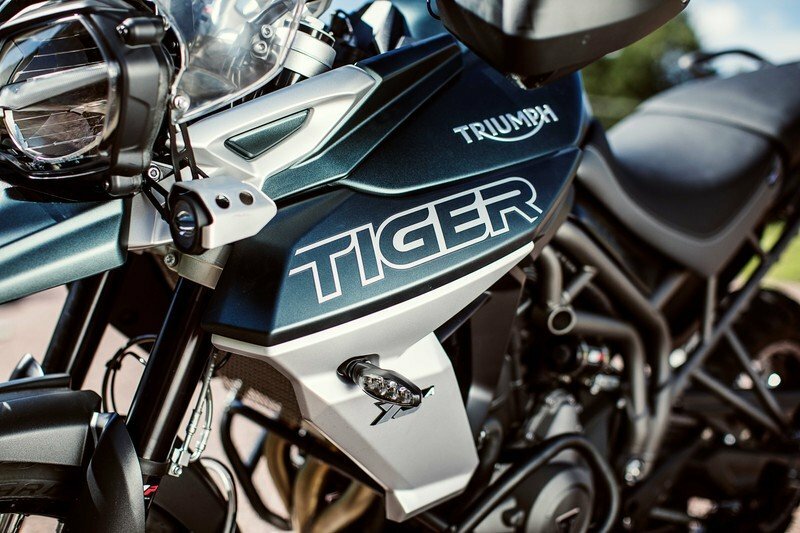 The Tiger range also boasts over 50 optional accessories, allowing you to customise your bike to maximise your riding experience, whichever model you choose. Prices and availability are TBD.